When we talk with families who have lost a loved one in a motorcycle accident, we often hear about how much the victim loved to ride. Some of the family members share the passion, many dedicating future rides to their lost relative. 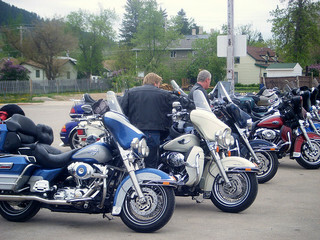 Others say they always worried about their loved one when he or she went out for a ride. As a San Francisco motorcycle fatality law firm, we’ve seen firsthand the rise in motorcycle deaths and we are dedicated to helping families recover vital compensation when a rider is killed in a crash because of someone else’s negligence. An Idaho news channel, KVTB, recently reported on the death of a motorcycle rider from Walker, California, a city approximately 150 miles east of Sacramento. Warren Park, age 57, swerved off the roadway while operating a motorcycle on Interstate 84 near Hazelton, Idaho last Friday. According to a police press release, Park was hospitalized but succumbed to his injuries early Sunday morning. His passenger, Bonnie Trimble, age 56 of Reno, Nevada, was also hospitalized. Police did not comment further on her condition. Both Trimble and Park were wearing helmets at the time of the accident. In April, the Governors Highway Safety Association (“GHSA”), an organization that represents state highway safety officers in efforts to improve traffic safety, released a preliminary report looking at motorcycle fatalities in 2012. The report opens with a disturbing conclusion: Preliminary data from authorities in all 50 states and the District of Columbia suggests that motorcycle fatalities rose approximately 9% between 2011 and 2012. Even more disturbing is the fact that, while a bit higher than average, this rise is not unique. Motorcycle deaths rose in 14 of the past 15 years. Even without including 2012 data, the number of motorcycle deaths occurring annually had more than doubled from 1997 (2,166 deaths) to 2011 (4,612 deaths). In that same period, even accounting for a 5% rise in 2012, the number of total traffic deaths dropped substantially. The GHSA report cites several details that may have been contributing factors in the increased fatality rate. High temperatures nationwide in the Spring of 2012 may have played a role in the particularly high death rate in the first half of the year. Fatalities were up 24% in the first quarter of 2012. The improving economy may have contributed to a rise in the number of leisure riders. At the same time, rising gas prices may have led to commuters choosing motorcycles as a more fuel efficient alternative to cars for everyday travel. Data from 1976 to 2012 shows two key associations: Fatality rates rise with increased registrations and registration rates rise with rising gas prices. If the GHSA’s analysis holds, the number of registrations and the amount riders travel on their cycles will continue to increase if the economy continues to improve and gas prices remain high. As a result, the fatality rate is likely to continue its upward trend. The GHSA does make recommendations for ways to reduce the number of motorcycle deaths. The authors suggest states work to prevent impaired riding, encourage riders to obey speed limits, and ensure that operators are both licensed and trained. Drivers should also be educated on the importance of sharing the road and staying alert for motorcycles. However, the report emphasizes helmet use as the most important element of safe riding and suggests that the most effective strategy would be the adoption of universal helmet laws in states without an across-the-board requirement. Notably, Florida is one of 31 states without such a law. We are proud to advocate for motorcycle riders and their families. Attorney Brod is honored to help families by serving as a San Francisco wrongful death lawyer when a rider dies because of someone else’s negligence. We are also advocates for safety and accident prevention. We’ve seen the faces of grief and we hope to see fewer families suffer the pain of an untimely loss.